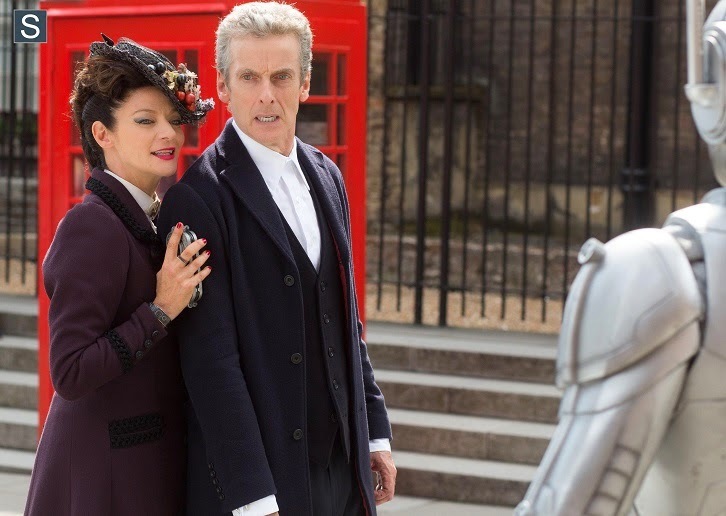 Hit the video links when prompted to see footage from this Saturdays Doctor Who - Dark Water, and other shows including Call the Midwife, The Fall, Poldark, Wolf Hall, The Interceptor, Jonathan Strangeand Mr Norrell, Last Tango in Halifax and more. In this special trail celebrating a lifetime of Original British Drama, Benedict Cumberbatch reads William Shakespeare’s famous monologue from As You Like It. The trail offers a unique glimpse of some of the BBC's biggest upcoming dramas, including The Casual Vacancy, an adaptation of JK Rowling’s novel, Roald Dahl's Esio Trot, The Missing, One Child and The Interceptor. We also get an advance look at Wolf Hall, written by Oscar-nominated Peter Straughan, Jimmy McGovern's Banished, Jonathan Strange And Mr Norrell based on the bestselling novel by Susanna Clarke, and the major new seven part series Poldark, written by Debbie Horsfield and starring Aidan Turner and Eleanor Tomlinson. Some of the BBC's best-loved drama series of our time also feature, from Doctor Who, Luther, Call The Midwife and The Line of Duty to Peaky Blinders, Eastenders, The Fall and Sherlock, which will return in 2015.